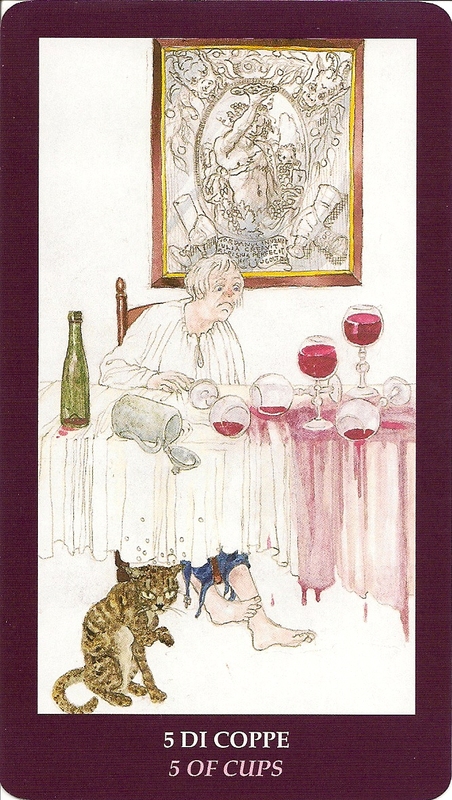 The Major Arcana narrate the birth of Bacchus and his adventures on earth. 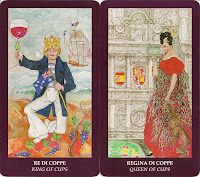 Each court card represents one of the top winemaking countries in the world. 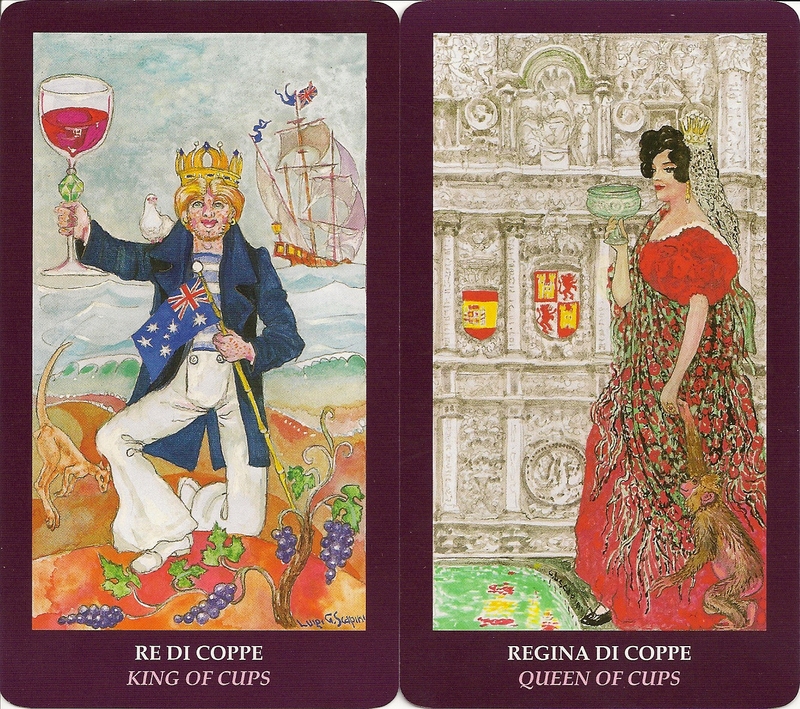 The Numeral Cards refer to the agricultural, business and recreational activities linked to wine. 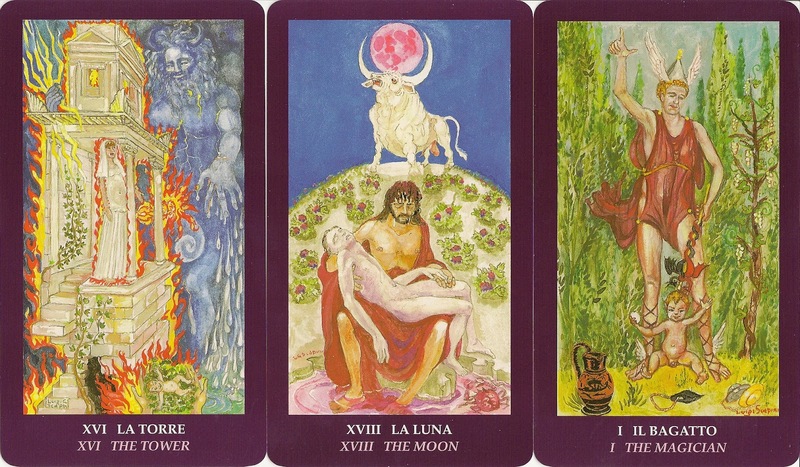 The large-size cards came in a bright-red box with an instruction booklet in English and Italian. The illustrations are soft rather than sharp with almost a watercolor effect. Some cards are signed "Guilia Scapini", some signed "Luigi Scapini", some signed "Luigi Scapini Guilia Scapini", some signed "GL Scapini", and some signed "LG Scapini". Looking at the ones with the first two signatures the differences in their artistic styles becomes apparent: Luigi has the rich colours, strong lines and bony figures. Guilia's cards have less muscular figures, paler colours and a lot of white left in the backgrounds of some of her images. In the cards signed with both their names or both their initials the partner whose initial comes first is dominant.